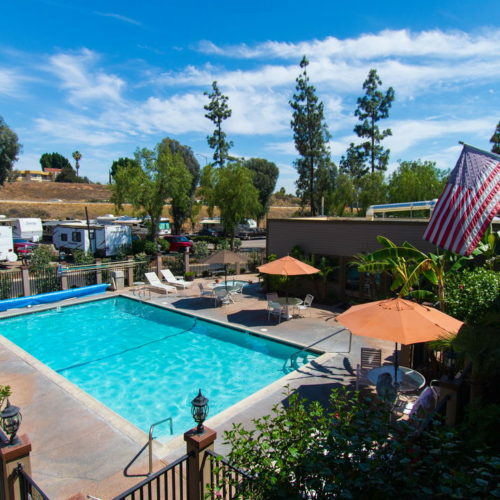 Circle RV Resort has your visit planned out. 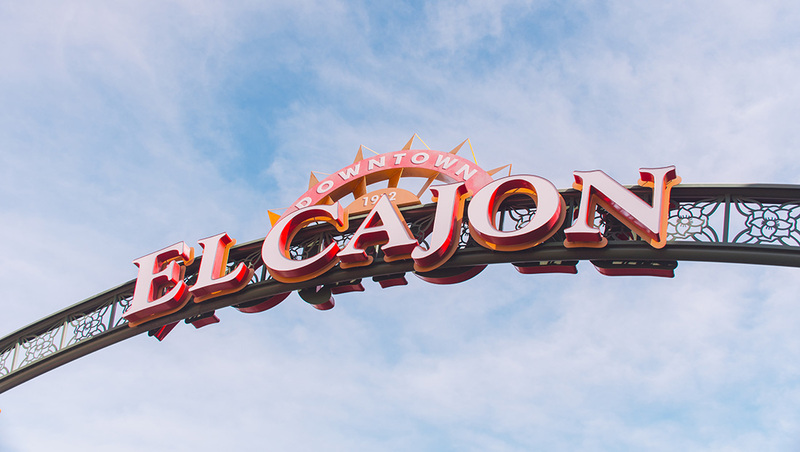 Be sure to visit El Cajon. 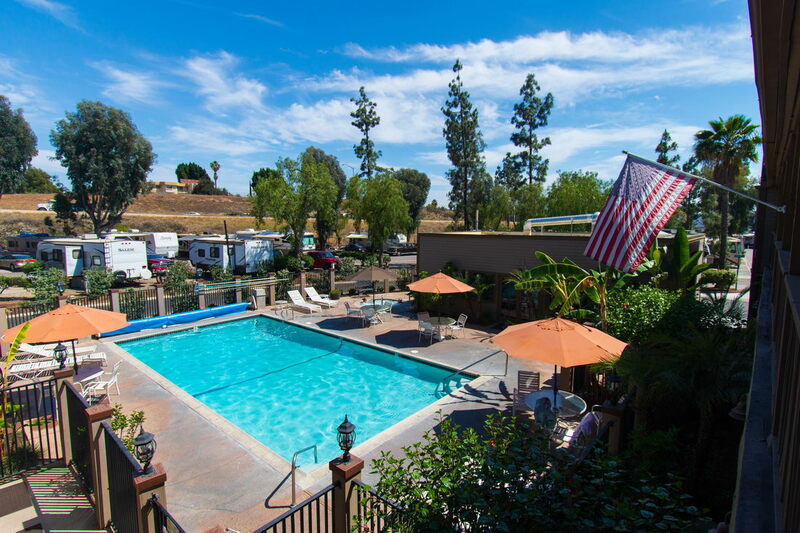 Arrive at Circle RV Resort, settle in and enjoy the amenities. Stretch out and get moving in our state-of-the-art fitness center then relax in our sparkling outdoor spa. Whether you’re in the mood for Italian, Chinese or Mexican food there is no need to get back in the car. Choose from one of the many restaurants within walking distance of Circle RV Resort. AM: Breakfast at Janet’s Café. We love the mouth-watering homemade cinnamon rolls and delicious granola French toast. After breakfast, head east to the charming mountain town of Julian for the Annual Fall Apple Days Festival. Local residents and guests celebrate each autumn with music, art shows, cider and delicious apple pies. Spend time exploring the history of San Diego’s only “Gold Rush” town. Take a historic self-guided walking tour with maps provided by the Chamber of Commerce located at the Julian Town Hall. Afternoon: Head back west and stop in Santa Ysabel for a late lunch or early dinner. Explore the Mission Santa Ysabel Asistencia founded in 1816. While you’re there, you can’t miss picking out some of Dudley’s Famous Bakery specialties. PM: It’s time to head back to back to the resort for an evening dip in our heated pool. AM: Fill up at Izzy’s Café, a local favorite, before starting your day. Consider the biscuits and gravy or their famous pancakes. After breakfast, grab your bike or hiking boots and head to Mission Trails Regional Park with nearly 5,800 acres of both natural and developed recreational acres. Rugged hills, valleys and open areas give a glimpse of San Diego prior to the landing of Cabrillo in 1542. Originally used by the Kumeyaay Indians, the park is the site of the Old Mission Dam, built to store water for the Mission San Diego de Alcala. With over 40 miles of trails, numerous informative hikes, and a state-of-the-art Visitor & Interpretive Center, Mission Trails Regional Park has something to offer everyone. Afternoon/Evening: Head to Viejas Casino and Outlet Center for a little shopping and gambling. Take the kids for putt-putt golf, bowling and arcades. Have dinner at one of their five restaurants, from gourmet to café. If you still have energy, catch a concert at the Viejas Arena. Day Four: Visit Old Town San Diego! AM: Have breakfast at the Gillespie Air Field Café and enjoy watching the small planes taking off and landing. After breakfast head west to Old Town San Diego, the “birthplace of Southern California.” Upon exploring the local history, hop on the Old Town Trolley tour. This two and a half hour narrated tour allows you to see all of San Diego’s major attractions without any hassle. Hop on and off at any one of its 11 stops. Afternoon/Evening: Head back to Old Town for an outstanding Mexican dinner and thrilling ghost tour. The Whaley House is heralded as one of the most haunted houses in America! The Adobe Chapel is also included on the tour. AM: It’s time to head north for breakfast at Café 67 in Lakeside, another local favorite. After breakfast and coffee, get swinging at the Mt. Woodson Golf Course. After a great round of golf, visit the historic castle built in 1921 during the craftsman movement. Afternoon/Evening: Enjoy a late lunch and antique shopping in Ramona before heading back to your RV site to relax and recharge.